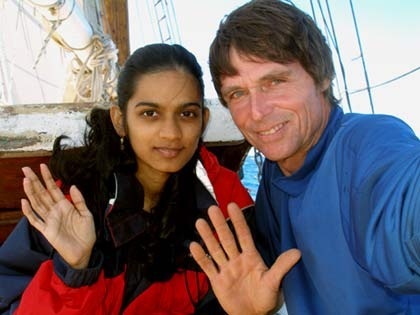 56 year old American adventurer Captain Reid Stowe and 25 year old rookie sailor Soanya Ahmad commenced their 1000 days Non Stop at Sea expedition called The Mars Ocean Odyssey. Now due to prolonged seasickness, the brave Soanya has decided to say goodbye to the expedition. On a 70-foot and 60-ton gaff-rigged schooner Anne. Water: There are four water tanks located in the cargo hold with a capacity of 1200 gallons in all and a desalinator. Soanya commenced her voyage with no sailing experience. She functioned as Stowe’s first mate for the first 300 days handling photography, computers and communication,as well as overseeing food supplies and preparing meals. Since November 2007 after entering the stormy Southern Ocean, Soanya is not keeping well due to sea sickness resulting in a loss of appetite,weight loss. 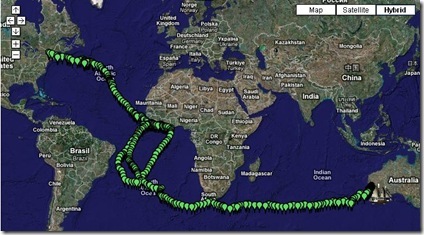 Now after 306 days at sea, Soanya has decided to disembark and call off her expedition. The Royal Perth Yacht Club is providing assistance with an at-sea transfer about 15 nautical miles off Perth. 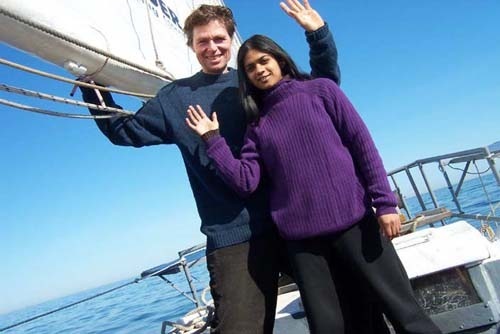 Reid is continuing his original aims of the voyage and is determined to finish out his 20-year dream to live at sea for 1000 days.